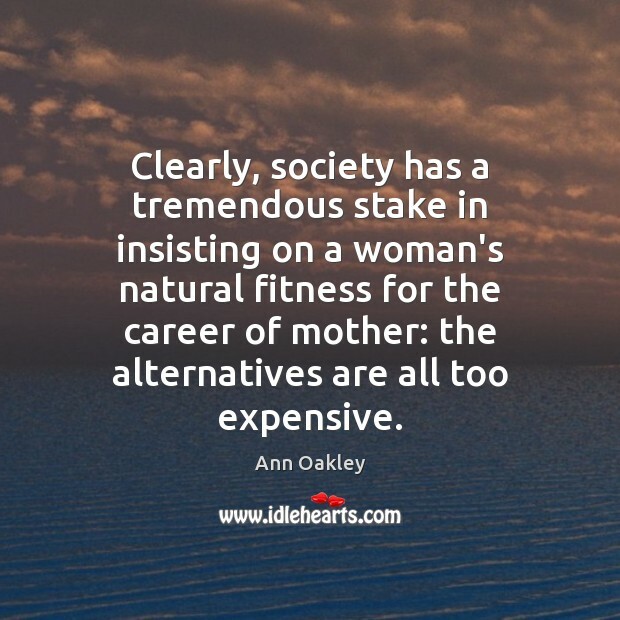 Enjoy the best inspirational, motivational, positive, funny and famous quotes by Ann Oakley. Use words and picture quotations to push forward and inspire you keep going in life! 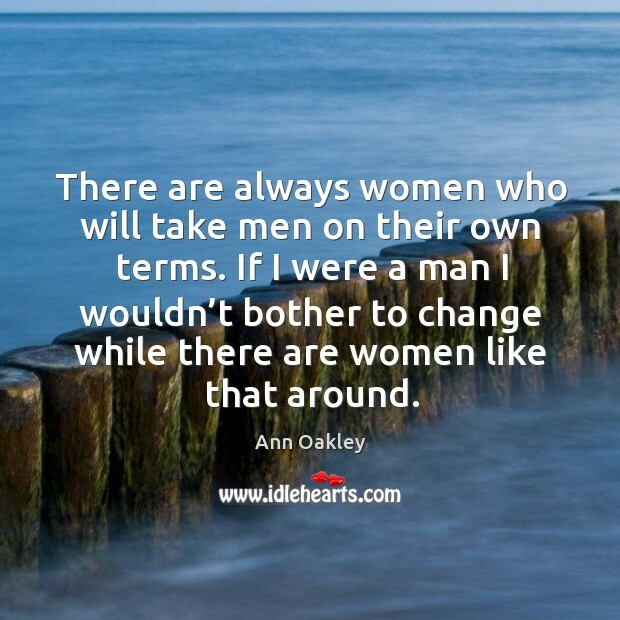 There are always women who will take men on their own terms. If I were a man I wouldn’t bother to change while there are women like that around. 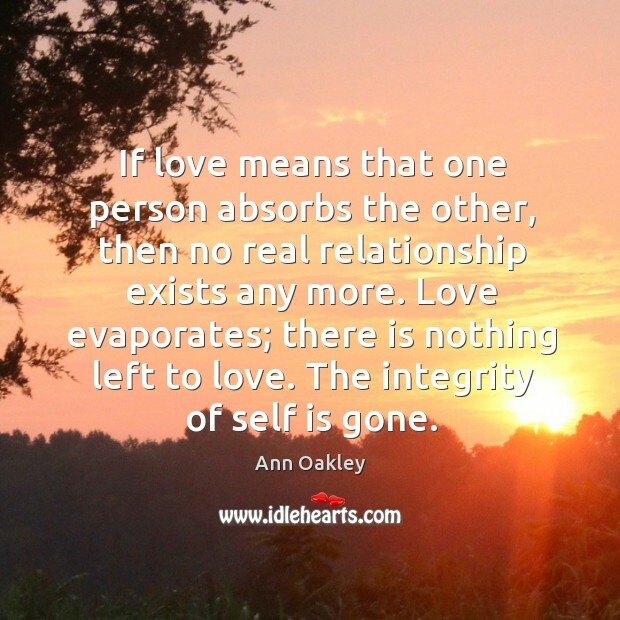 If love means that one person absorbs the other, then no real relationship exists any more. Love evaporates; there is nothing left to love. The integrity of self is gone. 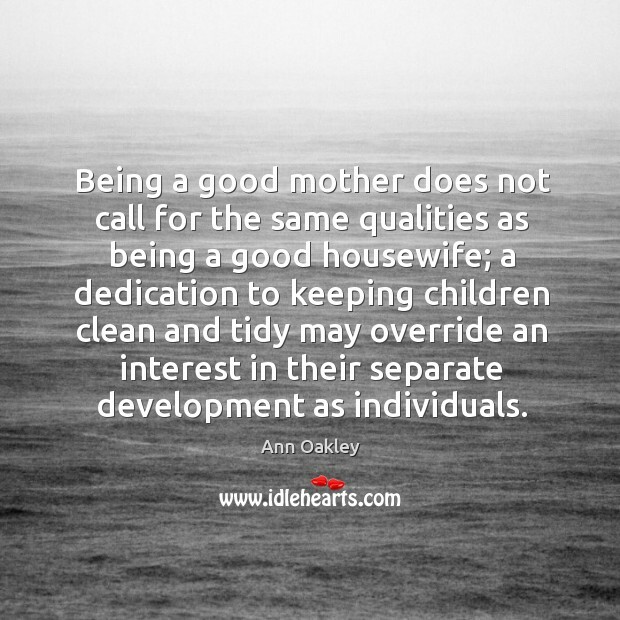 Being a good mother does not call for the same qualities as being a good housewife; a dedication to keeping children clean and tidy may override an interest in their separate development as individuals. 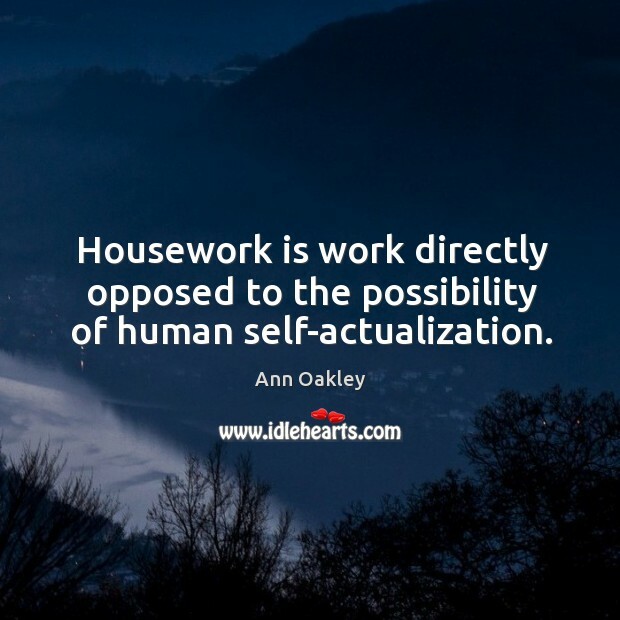 Housework is work directly opposed to the possibility of human self-actualization. 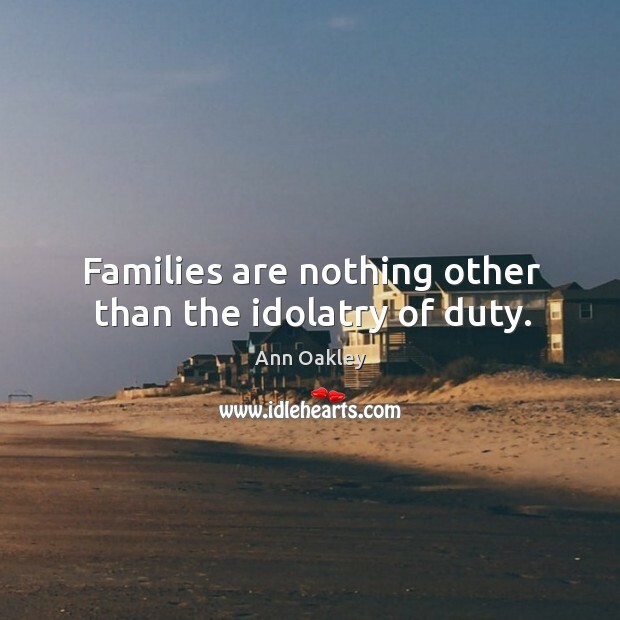 Families are nothing other than the idolatry of duty.